Not hitting your workout cleanly? Ever think to yourself, “I know I’m stronger than this” during workouts? Do you want to feel the burn in your muscles WHILE you burn more fat? 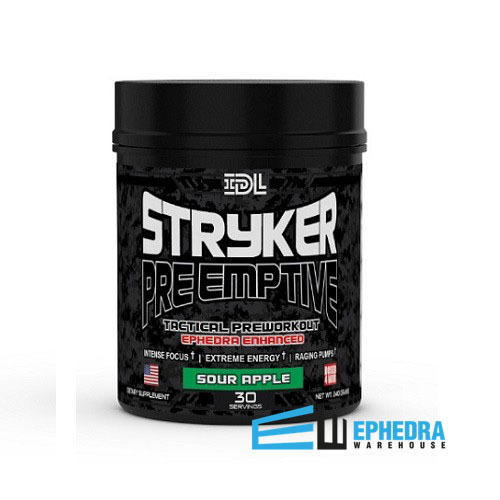 Stryker Pre-Emptive by Innovative Diet Labs is a powerful pre-workout that is designed to help you maximize your workouts. The better quality workout you get, the quicker you will put on muscle and turn your body into a fat burning furnace. When taken half an hour before a workout, Stryker Pre-Emptive will help to skyrocket your energy, allowing you to push yourself harder and longer than before. Who Is Stryker Pre-Emptive Ideal For? Why Is It Effective? I am totally zapped of energy before I even get near the gym. I am not happy with how much fat my body is burning every day. I am sick of unproductive workouts, and I am ready to conquer my training. If this sounds like you, then Stryker Pre-Emptive by Innovative Diet Labs is exactly what you need to truly fulfill your workout potential. What Are The Benefits of Using Stryker Pre-Emptive? As one of the newest products in the Innovative Diet Labs lineup, Stryker Pre-Emptive is sure to create a stir and gain quite the following. If you want to be able to crush the time you have in the gym, that is exactly what Stryker Pre-Emptive by Innovative Diet Labs can help you to do. Perez-Guisado J, Jakeman PM. 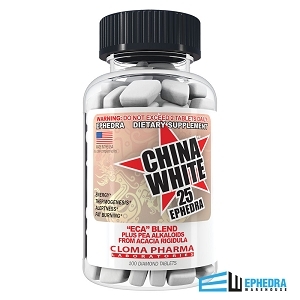 Citrulline malate enhances athletic anaerobic performance and relieves muscle soreness. J Strength Cond Res. 2010 May;24(5):1215-22. Glenn JM, Gray M, Wethington LN, Stone MS, Stewart RW Jr., Moyen NE. 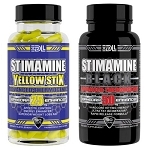 Acute citrulline malate supplementation improves upper- and lower-body submaximal weight-lifting exercise performance in resistance-trained females. Eur J Nutr. 2015 Dec 11. Bellinger PM, Minahan CL. The effect of ß-alanine supplementation on cycling time trials of different length. Eur J Sport Sci. 2015 Dec 11:1-8. Glenn JM, Gray M, Stewart R, Moyen NE, Kavouras SA, DiBrezo R, Turner R, Baum J. Incremental effects of 28 days of beta-alanine supplementation on high-intensity cycling performance and blood lactate in masters female cyclists. Amino Acids: 2015 Dec:47(12):2593-600. The flavor is great, pretty sour and gives great energy. Unfortunately can only give this 3 stars as a good half of the powder arrived already clumped and unusable despite being packed with multiple moisture absorbing desiccants. Was able to scoop around it and use part of it at least, even a half scoop gave great results. and mix until completely dissolved. Take 1 serving 10-20 minutes prior to working out.